In the wild, wild world of the Wild Wild Kanye West, one would expect nothing but pure perfection. He’s just that kind of genius. But without his immaculate stage production, lights, state-of-the-art sound boards and props, West’s stage show wouldn’t be a show at all. That’s why West has decided to cancel the remaining tour dates on his Yeezus tour. But it’s not for what you think. A truck carrying a chunk load of his equipment (custom-made video truss, 60-foot circular LED screens) had a severe road accident, damaging extensively much of the props on board. 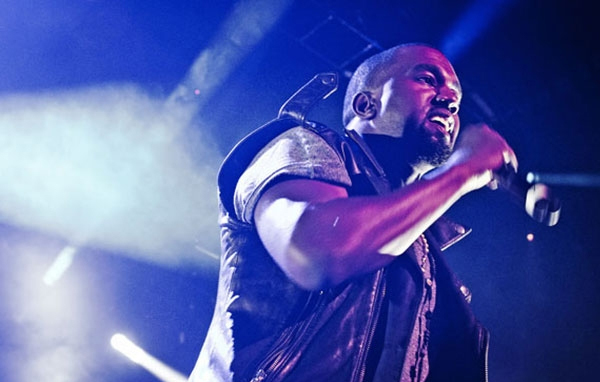 In a press statement released from West Central, they state that the artifacts on board the truck were “central to the staging of the Yeezus tour and central to the creative vision put forth by Kanye West and his design team.” They plan to rebuild the damaged goods and hope to resume the tour. Here’s what we do know about the remaining of the tour. Stops in Vancouver, Denver and Minneapolis have been postponed. Anaheim was also cancelled and has been rescheduled for December 13. No word on what those future dates will be. In the meantime, West took the off-time to propose to his girlfriend Kim Kardashian and even sparked First Lady Michelle Obama to a duel in a recent interview with Ryan Seacrest. The tour has been getting lots of buzz lately for probably West’s biggest prop to date: the use of a glowing and radiant “Jesus.” The stage actor dressed in white robe and sandals makes a quick appearance in his shows, and even brings the star rapper to his knees. Guess the Savior’s “water to wine” trick couldn’t help West at this point.